The encrypted dark web site aims to help users circumvent government censorship. 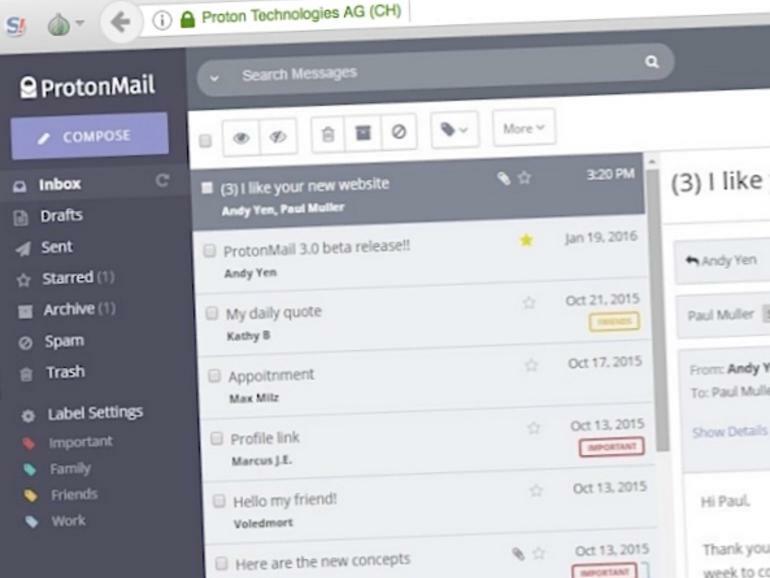 ProtonMail now has a home on the dark web.The encrypted email provider announced Thursday it will allow its users to access the site through the Tor anonymity service. The aim is to allow its more than 2 million users access the provider by taking “active measures to defend against state-sponsored censorship,” such as government-mandated blocks at the internet provider level. Users of the Tor Browser can now access the site at https://protonirockerxow.onion. “Tor provides a way to circumvent certain internet blocks so improving our compatibility with Tor is a natural first step,” said Yen. Tor is often used by the privacy conscious, such as reporters and activists, as a way of browsing the internet anonymously by bouncing traffic through multiple relays. Not only does it hide a user’s internet history, it’s also used to circumvent state-sanctioned network blocks. The service also allows users to browse parts of the dark web which aren’t accessible through traditional browsers and networks. The Switzerland-headquartered company also cited the recently passed UK “snoopers’ charter,” which was dubbed the “most extreme surveillance law ever passed in a democracy” by critics. Facebook was the last mainstream website to allow its users to access the social network through the Tor network. Launching in 2014, the site receives over a million users each month.